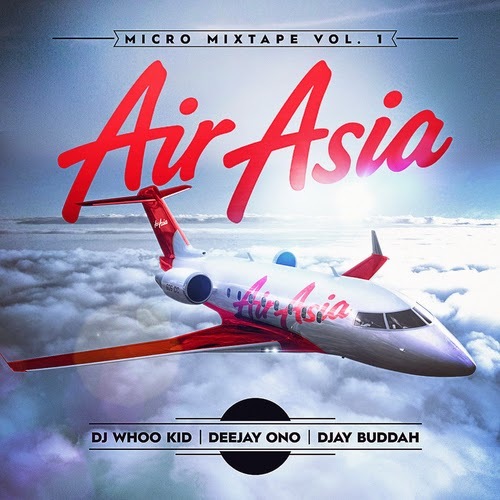 Home » air asia , asian rap , deejay ono , dj whoo kid , Djay Buddah , mixtape , Thaitanium » DJ Whoo Kid x Deejay Ono x DJay Buddah "Air Asia"
Saw this on the ol' Fbook timeline today. I met Buddah and Ono a few years ago while living in then visiting Thailand and their Bangkok Invaders movement is killing southeast Asia and beyond. They teamed up with NY's own, DJ Whoo Kid to produce this new mix. 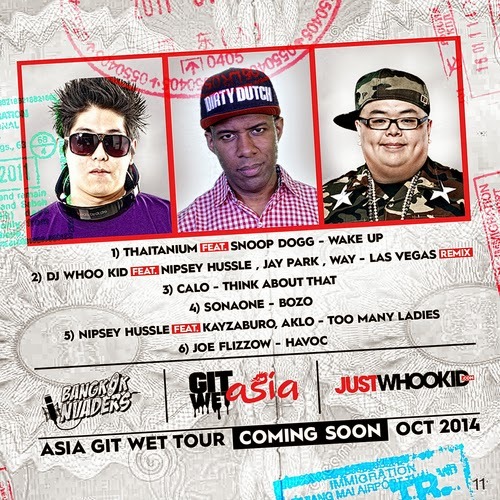 The first track is the Thaitanium [Thailand...obviously] and Snoop collab, "Wake Up (Bangkok City)," the video I shared recently. Followed by some tracks with Nipsey Hussle and a track from Malaysian MC, Joe Flizzow (I'm pretty sure that's where dude's from. If not my apologies, Joe).